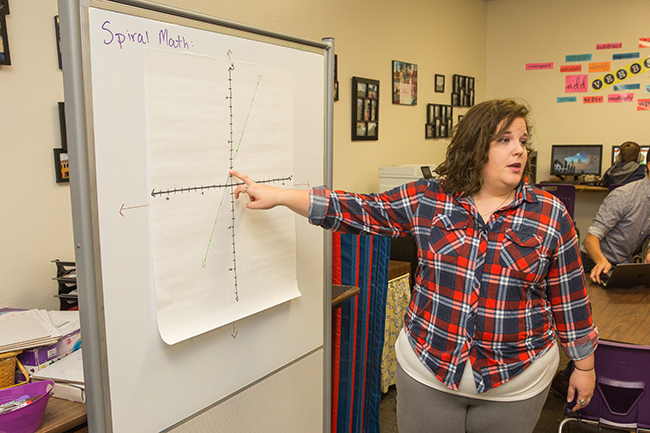 Spiral Math is a warm-up activity that Cisco Junior High School’s 7th grade students engage in at the beginning of class, each Tuesday through Friday. 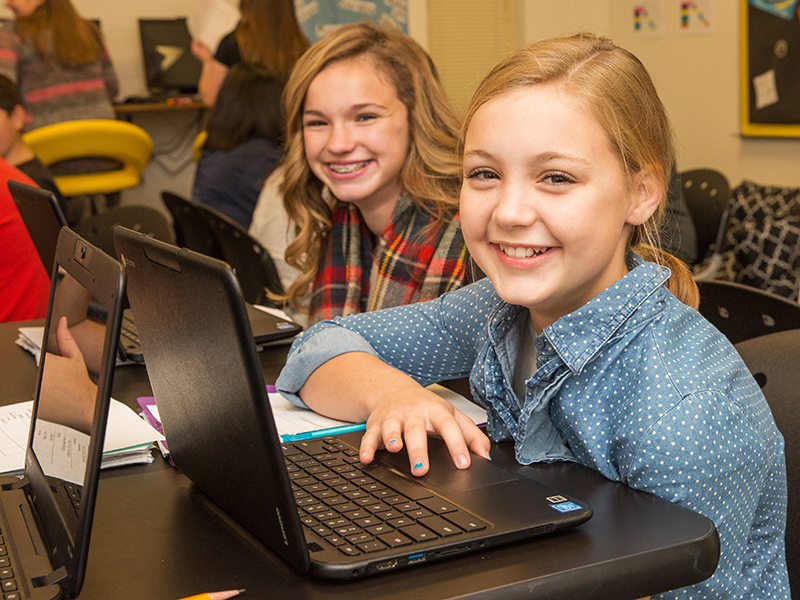 Spiral Math creates a variety of learning opportunities for students, in addition to providing a consistent routine for students to start class. Content for Spiral Math can be selected based on common skill gaps within the class, so students may end up reviewing and practicing 6th grade material during this time. Students might also end up completing a cross-curricular math assignment, often involving writing. Spiral Math also creates additional opportunities for collaboration as students work individually on Tuesdays and Thursdays, but consult with peers on Wednesdays and Fridays. For example, an assignment may require students to write a sentence or two explaining their answers, or construct a paragraph explaining what “slope” is. During peer collaboration on alternate days, students provide peer feedback in the form of questions, suggestions, and edits for their written work. This short exercise provides students with content exposure beyond the standard curriculum while creating quick formative data for the teacher to assess – and eventually address – skill gaps. Retrieves Spiral Math assignment from appropriate folder at the beginning of class, Tuesday through Friday. Individually works on Spiral Math content for first five minutes of class (Tuesdays and Thursdays). Chooses peer to collaborate with on Spiral Math work for first five minutes of class (Wednesdays and Fridays). Submits Spiral Math assignments when complete (can be daily or multi-day assignments). Identifies skill gaps or areas outside of core math curriculum where students could use additional exposure (e.g., math skills from prior grades, writing skills). Creates short activities that students can work on at the beginning of class to address these skills. Organizes Spiral Math content in folders by class period so students have access to the appropriate task at the beginning of class. Prompts students to not pick the same partner for peer collaboration, promoting diversity of thought. Reviews student work to check progress on skills practiced with Spiral Math.